CleanMaster manufactures a complete line of cleaning brightening, degreasing, sealing and maintenance solutions for natural stone, polished and finished concrete, and tile and grout floors and surfaces. Coupled with the cleaning power of your HydraMaster Truckmount, there is virtually no hard surface you can’t clean better than any other system or machine. 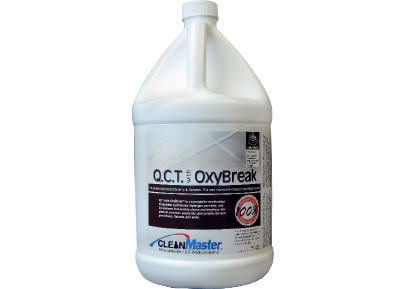 QCT with OxyBreak™ is a synergistic combination of specialty surfactants, hydrogen peroxide, and D-Limonene that quickly cleans and brightens the grimiest concrete, quarry tile, and ceramic tile and grout floors, fixtures, and walls. 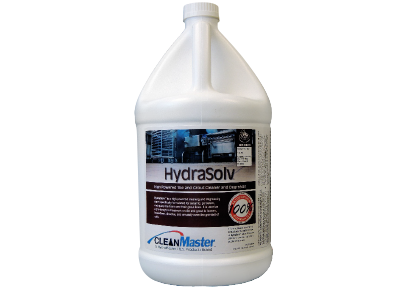 HydraSolv is a high powered cleaning and degreasing agent specifically formulated for ceramic, porcelain, and quarry tile floors and their grout lines. It is used as a prespray/pretreatment . 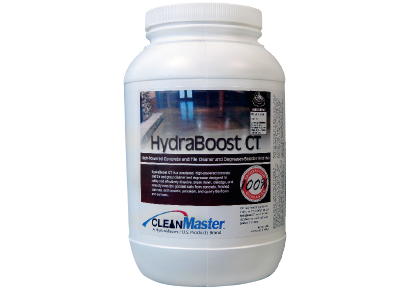 HydraBoost CT is a powder, high powered concrete and tile and grout cleaner and degreaser designed to safely and effectively dissolve, break down, dislodge, and emulsify even the grimiest soils from concrete, finished concrete, and ceramic, porcelain, and quarry tile floors and surfaces. 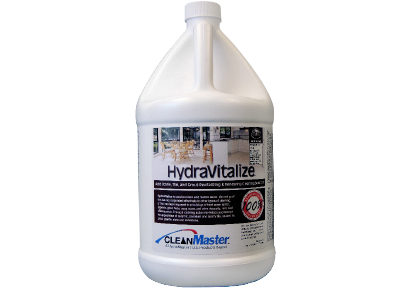 HydraVitalize is used to renew and restore stone, tile and grout that has not responded effectively to other types of cleaning, or that has been exposed to a build-up of hard water spots and deposits, grout haze, soap scum, pet urine deposits, rust, and efflorescence. The acid cleaning action revitalizes and renews the appearance of ceramic, porcelain and quarry tile, as well as grout, granite, slate and sandstone. HydraStone Heavy Duty Stone, Tile and Grout Cleaning solution is specially formulated for the heavy duty cleaning of natural stone floors and surfaces, as well as tile and grout floors and walls. 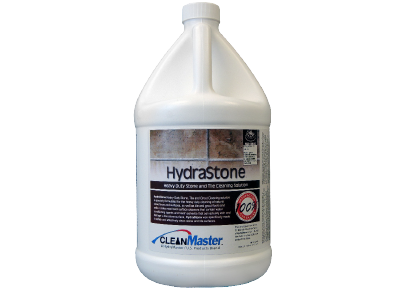 Unlike most hard surface cleaners that contain water conditioning agents and harsh solvents that can actually etch and damage a fine stone surface, HydraStone was specifically made to safely and effectively clean stone and tile surfaces. 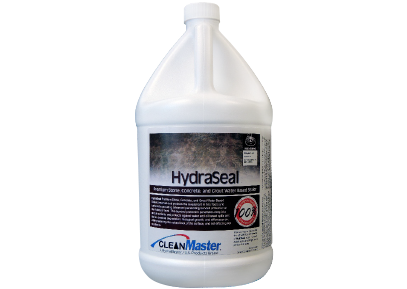 Finally, HydraSeal Premium Stone, Concrete, and Grout Water Based Sealer preserves and protects the investment in fine floors and surfaces by providing advanced penetrating bonded protection at the molecular level. This bonded protection penetrates deep into porous surfaces and protects against water and oil based spills and stains, chemical degradation, biological growth, and efflorescence, while preserving the natural look of the surface, and not effecting slip resistance.